So easy and simple! Try these homemade tortillas and you will never have to buy them again. Use it for making tacos, burritos, enchiladas, quesadillas and your favorite wraps. Why would you make homemade tortillas? This is a question I would probably ask myself as well if I was not faced with the problem of finding them (in time) at our local supermarket. I was in the mood to make this nice, refreshing California Roll Wraps last time and all I was able to buy were these really small tortillas. They were not so much bigger than my hand with fingers spread wide which are probably a good size for tacos and as it turned out, smallish wraps with ends untucked. 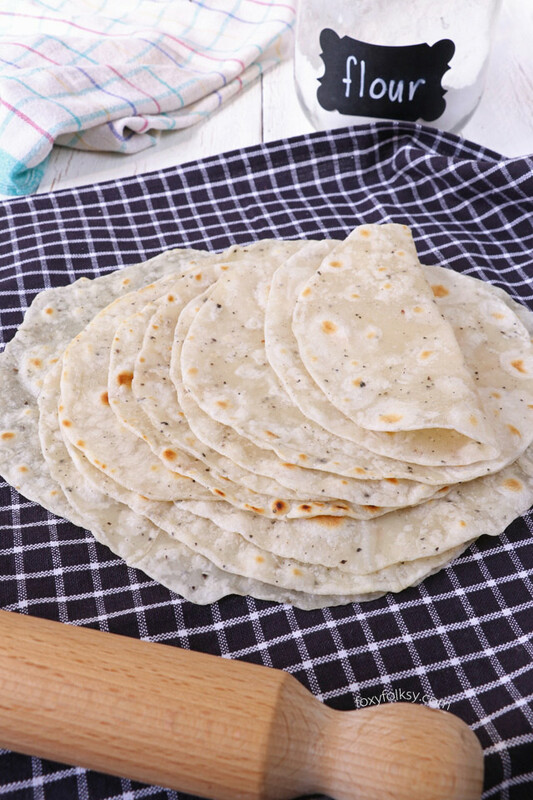 Making these homemade tortillas require only 5 basic ingredients that you probably have in your kitchen already anyway. You can still further cut it by removing the salt and baking powder (but I would not). Another thing about homemade tortillas is that you can store them in the fridge for some time as long as they are properly packed. Make a big batch and just warm whatever you need in the microwave. They also taste a lot better than the store-bought ones and fresher too! Tortillas are so handy to have because you can make a lot of stuff with them. My nephews eats them as they are! As you can see from the photos, I made two different sizes of tortillas. A big one for making wraps and smaller one for tacos. I plan to make Carnitas soon and will use these to make tacos with it. Refrigerated, they can last about a week. They can also be frozen to keep them longer. What flour did I use? Sure you can. I would suggest olive oil for the added flavor but other kinds of oil should also be fine. Can I skip the resting period? Nope. Unfortunately, this is a necessity. The dough has to be rested after kneading and before rolling or else it will be difficult to roll them out and will tend to shrink back. Is the dough supposed to be sticky? Not really. If it is, then add more flour while kneading but not too much. The dough should be soft and pliable. 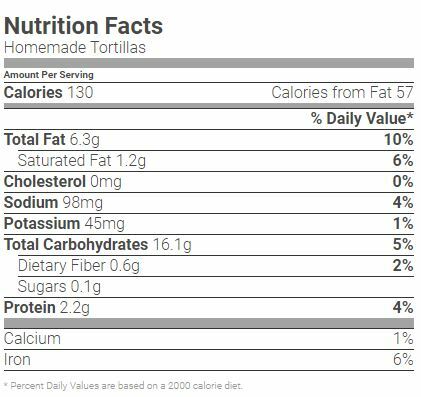 Why did my tortillas harden after cooking? One reason could be that they were overcooked (too hot or too long or both). Also, if you leave them out uncovered, they will dry out quickly. Place them in a container with a cover or wrap in a pile of barely-moistened towels. Why does the water need to be warm? I’ve made it using tap water and it was fine. But our tap water most probably does not have the same temperature as that in other parts of the world. Other swear that using warm or even hot water makes softer tortilla so do that. 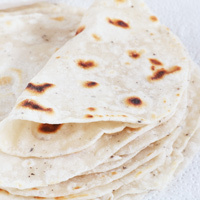 Try making these homemade Tortillas. It is so simple and easy to prepare you will never have to buy them anymore. Use it for tacos, burritos, quesadillas, and various wraps. 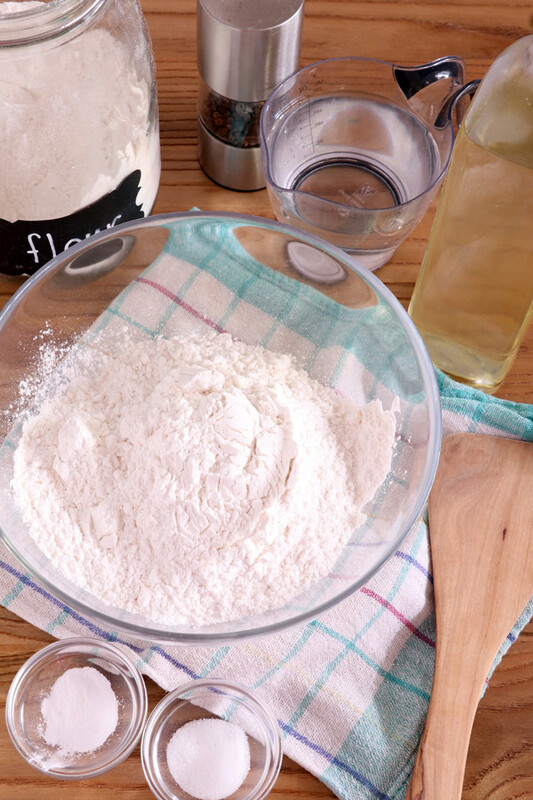 Combine all ingredients in a big bowl and mix to form a dough. Transfer the dough to a floured surface. Knead the dough until soft and smooth, about 5 minutes. 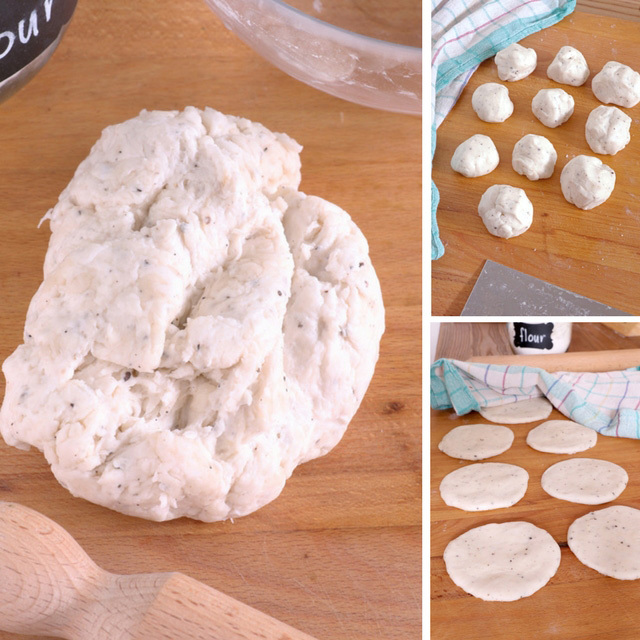 Divide the dough into 12 equal parts and form each into a ball. Flatten each call with your palm and let it rest for 10 to 15 minutes while covered with a clean kitchen towel. After the dough has rested, heat a large pan over medium-high heat. Meanwhile, using a rolling pin roll a flattened dough on a floured surface into a circle, as thin as you can without it breaking. About 6-8 inches in diameter depending on what you plan to use them for. Once the pan is hot, place a rolled dough and cook about 1 minute or until the bottom surface has a few pale brown spots and the top starts to form some bubbles. Flip to other side and cook for about 30 seconds to one minute. Remove from pan using tongs and stack in a covered container or sealable bag to keep them soft and pliable. Repeat the process with the remaining dough balls. If for later use, place tortillas in a resealable bag or airtight container and let them cool down then refrigerate afterward. Once ready to use, place them in between a slightly damp paper towel and microwave 15-25 seconds or until warm, then cover to hold heat while serving. 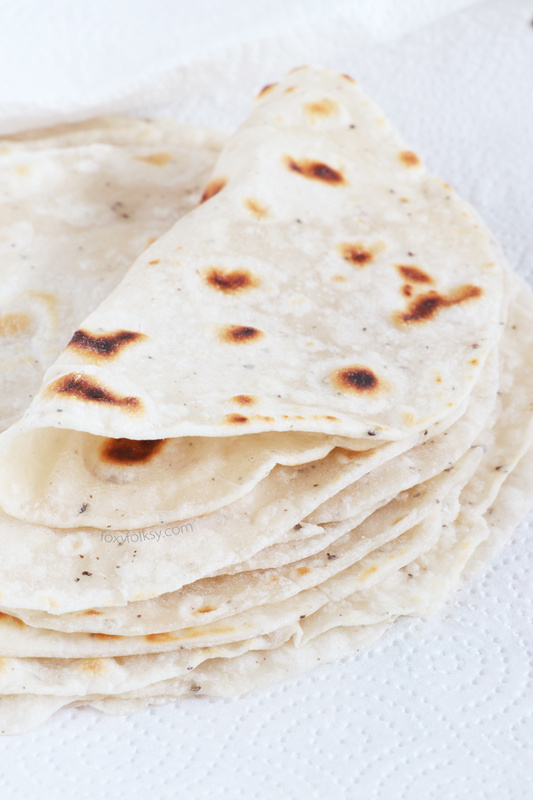 My very first ‘international’ food was flour tortillas made fresh and cooked right on top of the stove burner. My friends mom used to make them and serve to us neighbor kids with melted butter and home made jam. NOTHING tastes better than that! Sounds great, Donna! Will try the butter and jam next time. Thanks for the 5 stars and really glad you like it! Hi William, well technically, it would be a little higher than medium heat to fasten the cooking time but not so hot as high heat to prevent getting dark spots while the other parts are left uncooked. Wow! Thanks a lot Bebs.